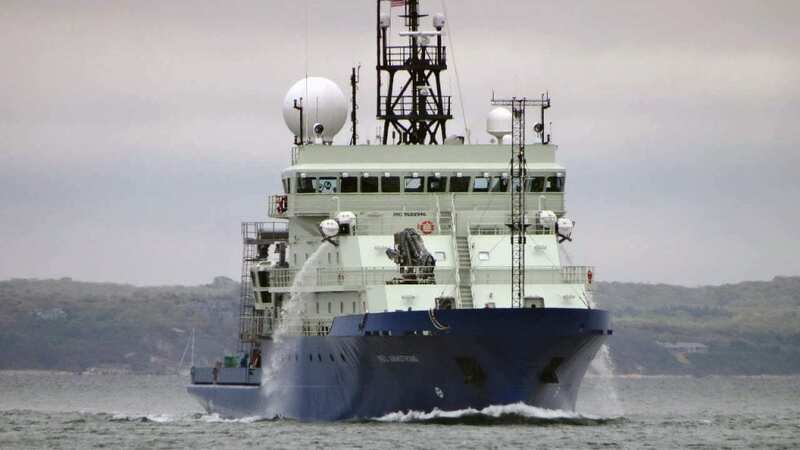 The research vessel Neil Armstrong, owned by the U.S. Navy and operated by the Woods Hole Oceanographic Institution (WHOI), will participate in Fleet Week New York, May 24-26, 2017. The ship is the only research vessel participating in the celebration. A limited number of special media tours of the Neil Armstrong will be held on Thurs., May 25, from 8:30 – 10 a.m. Media will also have the opportunity to see the newest marine robots used to explore and understand the ocean, and meet the scientists and engineers who developed and use them. To attend, you must reserve a space and be put on the security check-in list. Please email request to media@whoi.edu, or call/text: 508-566-3055 or 508-566-0989. Time: Tour begins at 8:30 a.m. Please arrive 10 minutes early so we can begin the tour on time. The ship tours will happen rain or shine. We’ll be climbing stairs through multiple ship decks, so please wear sensible shoes. Public tours will be held on May 25 and May 26 from 10 a.m. to 12:30 p.m.